﻿ Customize a China Tour, China Custom Tours, China Personalised Trips. Reasonable Price, No Shops, No Factories, No Detours, No Hidden Cost! 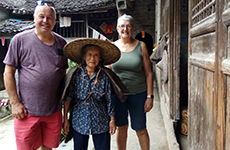 At China Culture Tour, you can customize your own China tour, and we will personalise your China vacation according to your requirements and our expertise to your complete satisfaction. 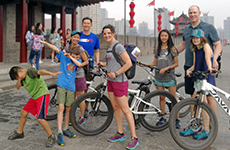 "We recently completed a 12 day tour of China and it was an amazing experience. We went to Beijing, Xi’an, Guilin, Yangshuo, Shanghai and Tongli. China Culture Tour was amazing to work with and I highly recommend working with them. I did some research on different travel companies and narrowed down to China Culture Tour and another company." Family Lee and Howard's 12 Days Beijing Xian Guilin and Shanghai Tour. Please tell us the age of your children and the adults, the health conditions, arrival/departure time and date. Non-smoking rooms? Vegetarian? Slow travel pace for seniors? **Price per person per day Excludes Int'l Airfare but includes domestic airfare/train, accommodation, excellent guide, private transfer, breakfast, local lunch, some featured dinners, entrance fee, etc. Copyright © 2015 CHINA CULTURE TOUR. All Rights Reserved.